City Hall is located in Town Square at the Magic Kingdom. It is home to guest relations. 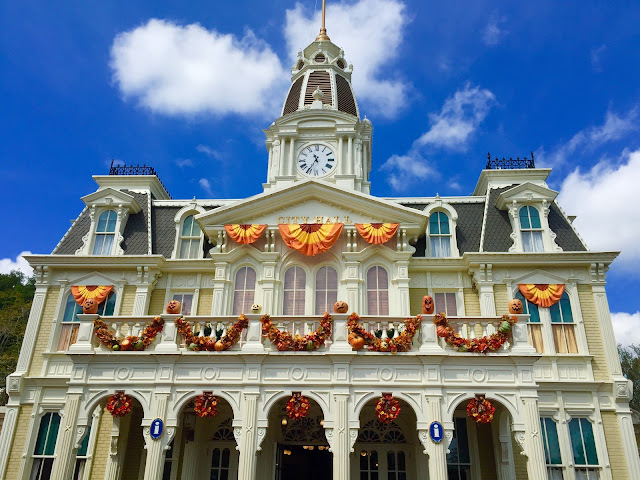 This time of year, it is decorated for the Halloween season, which lasts nearly two months at Walt Disney World. I took this shot this morning.